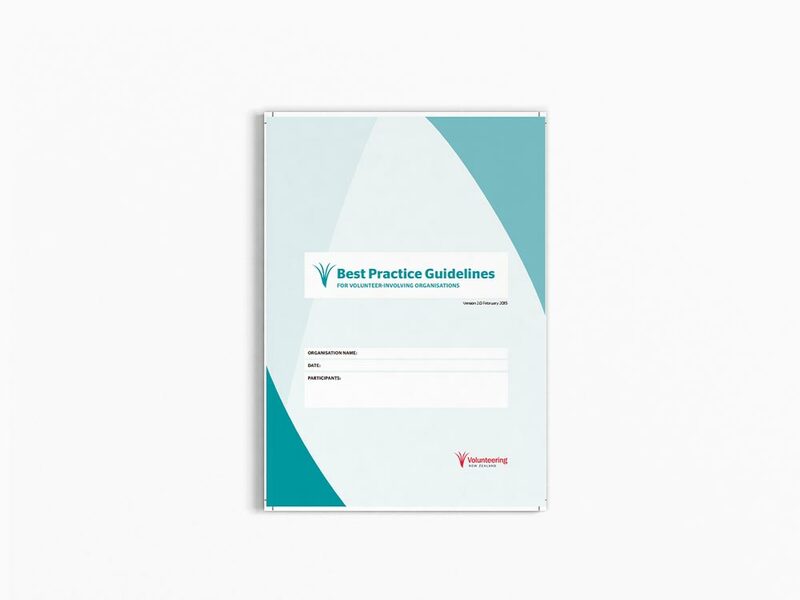 VNZ’s work with volunteer-involving organisations around their adoption of best practice culture has been hailed as innovative and world-leading. 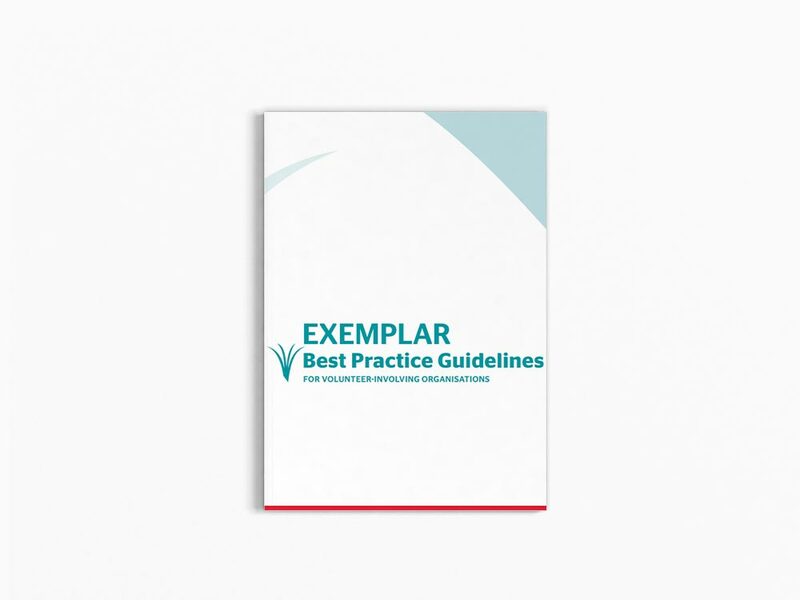 The creation of these Best Practice Guidelines for Volunteer-Involving Organisations (the Guidelines), is central to how organisations transform themselves into catalysts of community change. What is our plan of action? What will support us, and what could stop us achieving this? To encourage participants to formulate and implement their action plan (the Guidelines, completed). 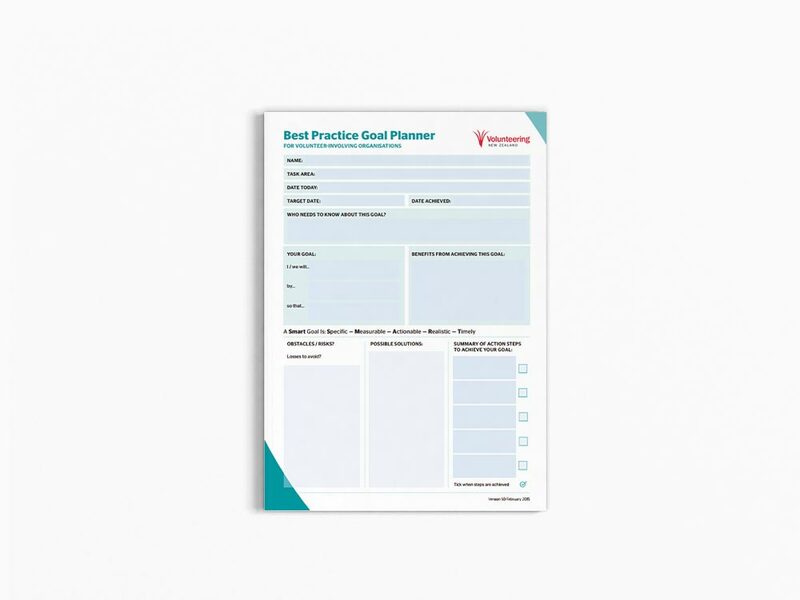 Use the Goal Planner to formulate an explicit plan for one or two objectives – a S.M.A.R.T plan. The plan should anticipate barriers and blocks to success. When will your actions occur or be completed. Who has an active role in this? What obstacles, blocks or barriers can you identify …etc. These sample answers are based on real answers from volunteer-involving organisations. If you are stuck, take a look at the Exemplar to see what other people are thinking / doing. Record your time use by drawing a line or an x in the relevant box. Add up your time use by activity each day and work out what portion of your working hours you spend on specific tasks. 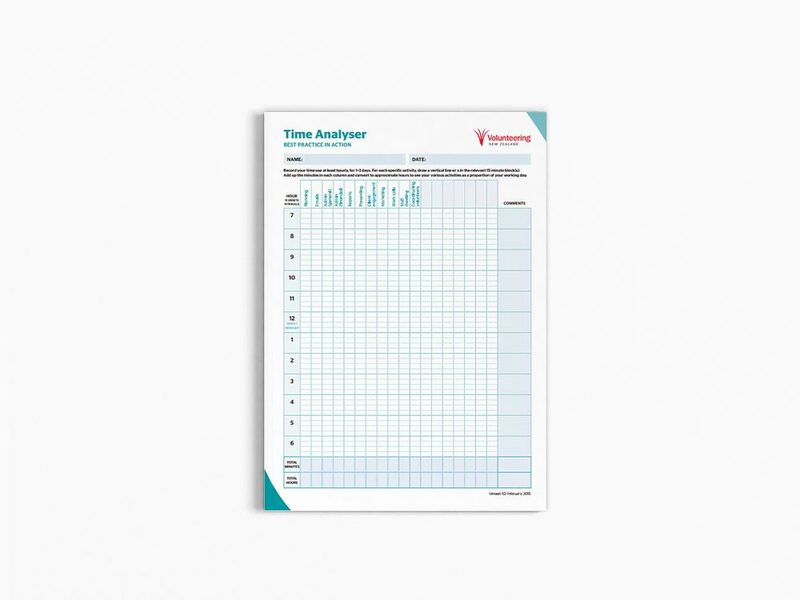 Use the Analyser to help identify whether you are spending enough time on your high performance tasks (refer to your job description). How well might the team respond to changes identified through completing the Best Practice Guidelines? Are there talents among team members not being recognised? 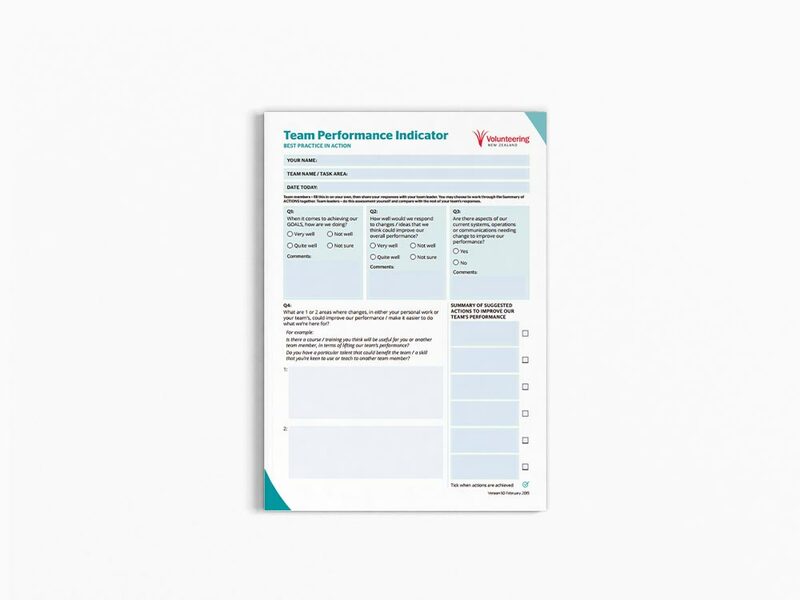 Use the Team Performance Indicator to help you and your team find out.